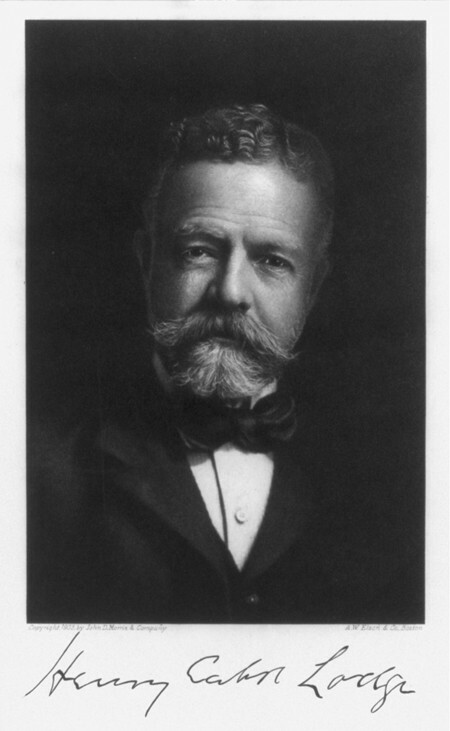 Today in History–May 12–the Library of Congress features politician and historian Henry Cabot Lodge, born on this day in 1850. Lodge was a long-standing member of Congress, serving the state of Massachusetts as a U.S. representative from 1887 to 1893 and a U.S. senator from 1893 to 1924. This Republican statesman is perhaps best known for his staunch argument against U.S. participation in the League of Nations proposed by President Woodrow Wilson. Find out more about this fiery orator by visiting the Today in History section, then click the links below to access related resources.